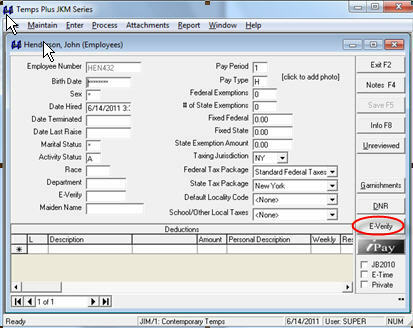 Using Temps Plus you can E-Verify all of your candidates at no additional charge. It is a standard Temps Plus feature. 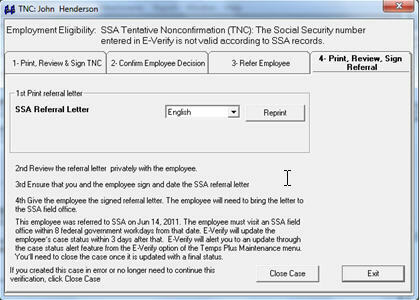 For more information click on the E-Verify features page. With Temps Plus web-based E-Verify feature, you will minimize your risk exposure and be fully compliant. In the wake of changing regulations, intensified immigration audits, and expanding E-Verify requirements, for state and private businesses, this is critical. For over 30 years Bridgeware has been in constant consultation with our clients in the Staffing industry to solve problems, and create literally hundreds of efficiencies that reduce costs and increase the bottom line. Call today 717.770.7043 to schedule an online demonstration or just to chat about specific capabilities you may have an interest in. Companies considering our TempsPlus staffing software are always invited to contact our clients as part of their evaluation process.